As a member of the Micro Focus COBOL team, I have had the opportunity to attend many developer community events and speak to hundreds of local experts within the software development space. We often find ourselves engaged on the age-old question of ‘which programming language’ is truly better for application development. Most approach the question, subjectively, basing their view on personal experience or preference. The same question has also spurred a significant amount of industry debate as organizations seek to plan future steps and application strategy. Some industry groups such as TIOBE, also track the popularity of programming languages over time. I had the chance to catch up recently with Bob England, Senior Developer and Head of England Technical Services. As a seasoned veteran in the developer community, Bob’s worked on many application development projects across both large and small organizations. I’ve asked him to weigh in on this popular topic within the development community and to share his industry insight and experience on which programming language he believes is best suited to modernize today’s core business systems. So without further ado, it’s over to Bob. has been around for a very long time it is still just as true! It doesn’t matter how long a piece of code has been around. It is still exactly the same as the day it was created. You don’t have to change the oil and rotate the tires with logic. You don’t rewrite logic because it is old. You change logic because the business changes. It is true that newer languages can offer the benefits of new knowledge and approaches. So – which language is older? Programming languages are not religions and therefore do not have moral value and are not “good” or “bad”. Programming languages are tools and should be described with adjectives such as useful, not good, bad, better, or worse. If you want to compare two different implementations of the same programming language, then it is appropriate to say one is “better” than the other. While logic does not age, the tools used to create logic can go out of style, because style is simply society’s passing fancy. It is irrational to dispose of valuable business assets because the tools used to create them have gone out of style! If “being in style” is deemed important, than justification for the cost of creating new logic should be accompanied by an estimate of how long the new tools will be in “style”. Very few programming language comparisons are completed by experts in both languages or technologies. When such a comparison is made, the conclusions should be taken with a grain of salt or two. Java and C# were designed to support the development of a variety of software applications, not just business software. And that’s great news for developers, providing them ample choice for new development efforts. COBOL was created to support the development of business applications. That is its specialization. If you are developing business applications the specialization of a programming language for building business applications is a benefit. Modern COBOL development using Visual COBOL delivers a just as good object oriented language implementation as Java or C#. (Note: This does not violate the earlier rule on good/bad because we are comparing/contrasting implementations of a specific type of programming language). As a developer, you can do in Visual COBOL what you can do in C# or Java. The syntax is different, but equally functional, making it neither better nor worse. Visual COBOL is also a great implementation of the historical COBOL standard. This function is in addition to its object-oriented capabilities and in no way, shape or form compromises them. If these two assertions are true then Visual COBOL is by definition a superior language for business application development when compared to Java or C#. The only way that this argument wouldn’t be true is if the historical COBOL standard retained little value, and several billion lines of code in production would suggest otherwise. 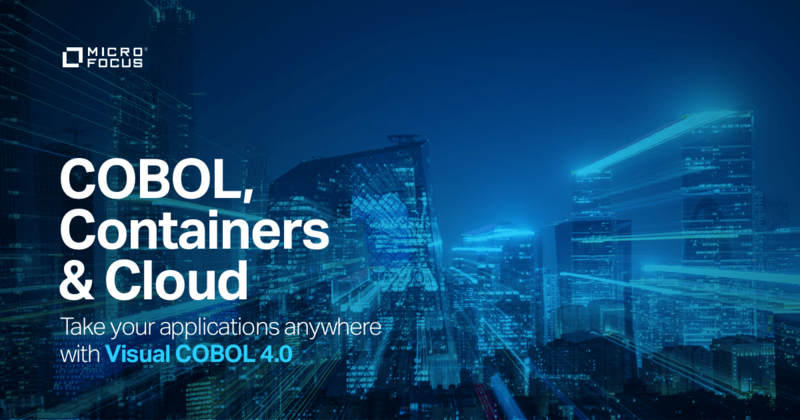 So now that we have established that Visual COBOL is a superior language for business application development, let’s apply that to a real world situation. Thank you Bob for your insight and view into why Visual COBOL delivers a better solution for maintaining and modernizing core business systems. As you’ve outlined, each programming language has its intended purpose and use case. The COBOL language was built to support business systems and now through modern technologies such as Visual COBOL, developers can quickly modernize those same decades-old systems while leveraging valued business logic. The decision seems straightforward for developers tasked with supporting mission critical COBOL applications, but I’d suspect that some many want a closer look. Click here to explore further and begin your personal journey with Visual COBOL.